With tickets for the UFC’s debut in Sweden set to go on sale Wednesday, the world’s premier mixed martial arts promotion finally announced the show’s featured attraction. A light heavyweight shootout between Alexander Gustafsson (Pictured) and Antonio Rogerio Nogueira will headline the April 14th event. 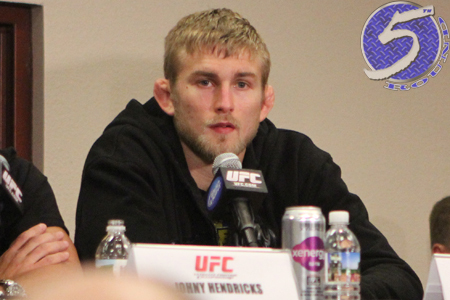 Gustafsson is coming off a quick TKO victory over Vladimir Matyushenko at UFC 141. Following last month’s scrap, the up-and-comer expressed great interest in competing in front of his fellow Swedes. Nogueira rebounded from back-to-back decision losses to Phil Davis and Ryan Bader, respectively, with a 1stRound TKO win over Tito Ortiz at UFC 140. A bantamweight brawl between Brad Pickett and Damacio Page was also added to the roster.